The four golf majors of the year have come and gone, but the season isn’t over yet. 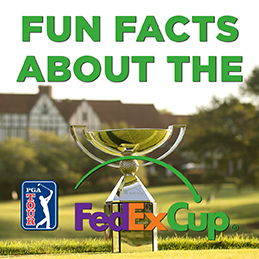 Our team at TGA of Chapter Name (hyperlink chapter name to your homepage) has been keeping track all season as golfers on the PGA Tour have been amassing points to determine their seeding for the FedExCup — a four-tournament playoff that culminates in the crowning of a new champion. Click here to check out the official current standings.